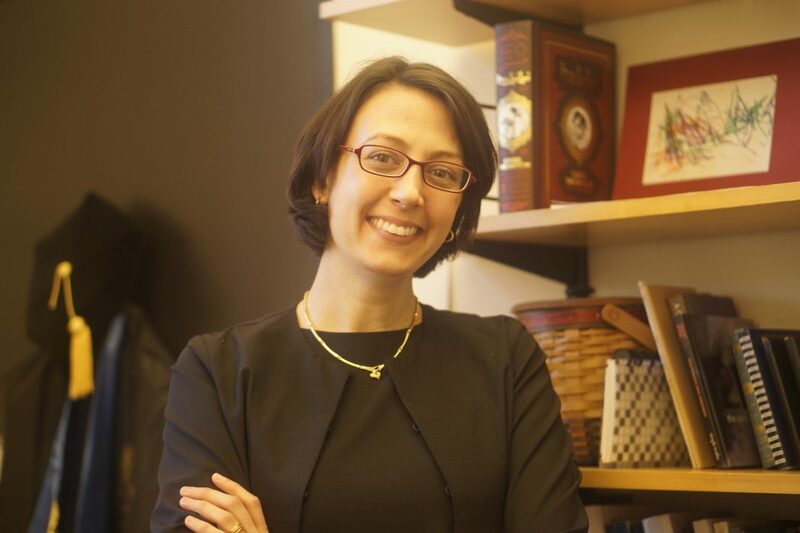 Assistant Professor of Peace and Justice Studies Nadya Hajj had her heart, mind and research goals set on refugees from the moment she set foot on the University of Virginia’s campus in Charlottesville, where she majored in Middle Eastern studies and political science as an undergraduate. Four years later, she won an award for her thesis on female Palestinian refugees and their forms of revolutionary resistance. “It only took $500 [from the award] to convince me to go back to school at Emory University to get a PhD. I knew going in that my focus would really be on Palestinian refugees,” Hajj said. Hajj’s PhD in political science led her to start teaching in the political science department at Wellesley College in 2011. In January 2018, Hajj began the process of transitioning into the peace and justice studies department, as she felt it related more closely to her research, her passion for working with refugees and her passion for contributing to changes in social justice. “I felt like peace and justice studies let me have that, while also teaching classes that I’ve taught in the past,” she said. As a Palestinian-American born in Kuwait, Hajj spent a lot of time traveling to visit family in refugee camps in Lebanon and Jordan. Over the course of her travels, she developed a deep connection to refugee camps in the Middle East. “My whole life I’ve spent going to the camps, at least for personal reasons. Starting in fall 2003, I started doing real research there. I’ve conducted around 500 interviews since 2004 with refugees living in Lebanon, Jordan and Syria,” Hajj said. Hajj feels that her focus on anarchic refugee communities is important because most traditional studies of political science focus on recognized groups who have a formal state. She is especially passionate about empowering refugees so that the world can better understand how they create order in societies without a ruler. During her yearly visits to the refugee camps, she has worked hard to determine the most comprehensive ways make sure people feel comfortable during interviews, while still collecting empirically valid responses for her research. Hajj’s favorite part of her work is the exchange of ideas with others. “I felt like having a personal connection, knowing the language [Arabic] and having the willingness to tell them what you’re doing with their words helped. So when I wrote my book that got published last year, I wanted to feel, with a clear conscience, that I accurately portrayed what they said,” Hajj said. By incorporating technological innovations into her interview methods, Hajj can now interview people in the field from her office in Pendleton. “I’ve been using Skype, Whatsapp and Facetime to do video interviews. I’ve collected two dozen interviews this summer this way,” she said. Her new revolutionary and technologically savvy method of conducting interviews is even more crucial given the topic of her newest research. Hajj is currently investigating burial politics in refugee camps, as well as the ways in which overcoming the associated challenges can bring dispersed refugee communities together. “Palestinian camps each have their own Facebook pages. Every time someone in the camp dies, they’ll post an image and an obituary in real time. They’ll also document the funeral process and burial in pictures and videos, so that people all around the world can witness their family member being buried in the camp,” she said. Hajj emphasizes that her take on political science research helps uncover the resiliency of refugees in camps today and gives them a voice so that their resiliency can be acknowledged by the world. “They make lives better for themselves in very difficult situations. They are agents of change in their own lives,” she said.